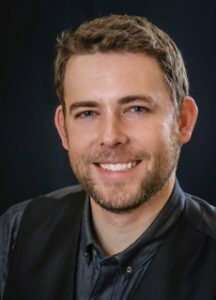 Michael W. D. | Ashland Homes Real Estate Inc. Michael W. D. | Ashland Homes Real Estate Inc.
Home » Michael W. D.
Raised in Northern Illinois, I’m a combination of an engineering mind, and farm boy work ethic. I was raised with the knowledge that you help your friends with their move/projects/car repair for nothing more than pizza and a beer or two. I will always be thankful for such a true upbringing; it will always be my rock when the world gets stormy. I love Southern Oregon because it reminds me of the good-hearted, small town that I came from (albeit much more beautiful with the mountains, trees, streams and picturesque rivers that have become the iconic representation of the area). It also helps that the winters here are also significantly more kind than the ones I grew up in. If I’m not in the office, you’ll often find me volunteering at one of the many non-profits I love to help support, like ScienceWorks and the Ashland Emergency Food Bank, or in my shop engineering and building project after project.